Creation of the national state is hardly imaginable without striking its roots in history and defining the grounds on which the future state is to be constructed. Thus, establishing of the tradition archives had a significant impact in consolidating national communities and shaping their values, even becoming means by which identity of a national community was formed. The tradition archives still play an important role in safeguarding the collectables and making them available to the society, and as knowledge hubs shaping people’s understanding of themselves. However, there are hosts of sensitive issues related to the functioning of the archives, from policies of the archive making to representation and research of the materials. The 100th anniversary of the independent states of the Baltic region is a good opportunity to survey how the national history is reflected in the archives and how the archives influence and sustain creation of national, social and individual identities. We invite archivists and folklorists, historians and cultural researchers from various memory institutions to share their experience, knowledge and practices in relation to the above mentioned and other relevant topics. 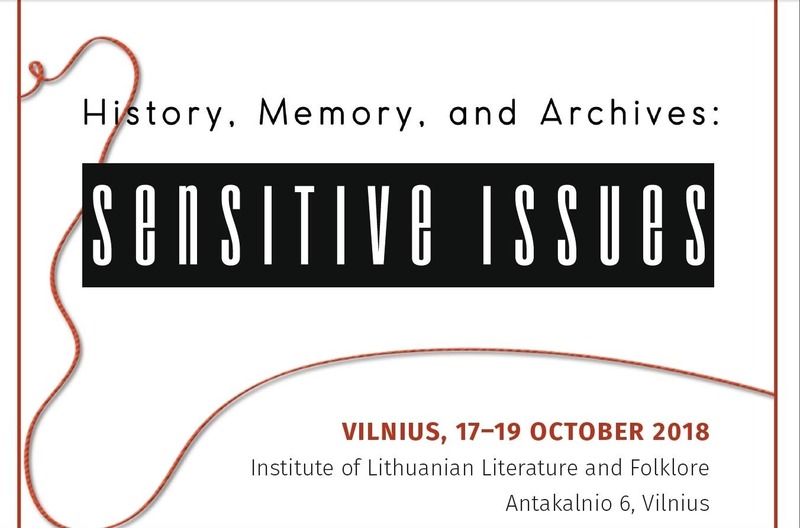 Please submit proposals including your name, affiliation, proposed title of your paper, and abstract of maximum 200 words to the following address: archives.conference@llti.lt by April 16, 2018. Also, please indicate if you need financial assistance. Paper acceptance will be confirmed by April 30, 2018. Duration of talk: 20 minutes (plus 10 minutes for discussion). Participation fee: 35 EUR (20 EUR for PhD students; travel and accommodation expenses are not included in the fee).